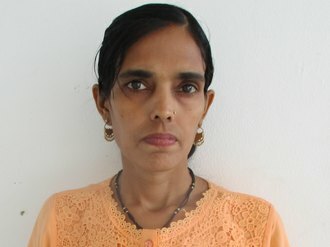 Deepthi joined Watsi on September 24th, 2016. Two years ago, Deepthi became the 2473rd member to automatically support a new Watsi patient every month. Since then, 2,633 more people have become monthly donors! Deepthi's most recent donation supported Srey Cheng, a girl from Cambodia, to fund ear surgery. Deepthi has funded healthcare for 32 patients in 9 countries. 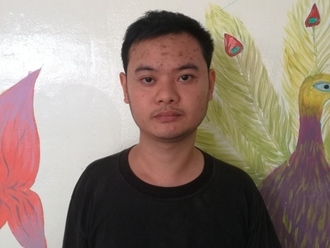 Vanda is a 25-year-old simcard seller from Cambodia. He likes listening to classical music, playing soccer, and going for walks with his friends. Seven months ago, Vanda was in a motorcycle accident that injured his right shoulder. He has been diagnosed with a brachial plexus injury on his right side. The brachial plexus is a nerve network that transmits signals from the spine to the shoulder, arm, and hand. Injuries to this nerve network can result in loss of function and sensation. He is unable to use his right arm, and it is difficult for him to move his hand. 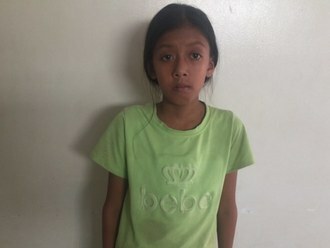 Vanda traveled to our medical partner's care center to receive treatment. On February 13, he will undergo a brachial plexus repair surgery. After recovery, he will be able to move his arm and hand again. Our medical partner, Children's Surgical Centre, is requesting $637 to fund this procedure. He says, "After surgery, I hope that I will be able to use my hands again and go back to work." Thi is a 36-year-old woman from Burma. She lives with her husband's parents in Kar Si Bu Village, Phyu Township, Bago Division. They all work as farmers. Thi was diagnosed with a heart condition that involves a malformation of the mitral valve, the valve between the left atrium and left ventricle. This valve controls the flow of blood, but certain conditions may cause blood to flow backward or the valve to narrow. Currently she becomes easily tired when she completes small tasks. She has heart palpitations, shortness of breath, and chest pain. 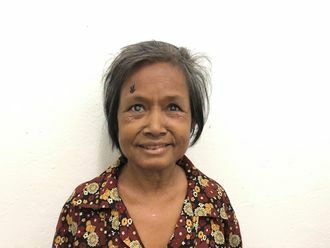 Our medical partner, Burma Children Medical Fund, is requesting $1,500 to fund a mitral valve replacement for Thi. The treatment is scheduled to take place on January 23 and, once completed, will hopefully allow her to live more comfortably. “I want to receive the surgery. When I’ll feel better after surgery, I want to open a small grocery shop to increase my family’s income and pay back my family’s debt,” says Thi. Van is a rice farmer from Cambodia. She one daughter, two sons, and six grandchildren. She likes to spend time at home. A year ago, Van developed a cataract in each eye, causing her blurry vision, itchiness, tearing, and clouded lenses. She has difficulty seeing things clearly, recognizing faces, and going anywhere outside. When Van learned about our medical partner, Children's Surgical Centre, she traveled for three hours seeking treatment. On December 6, doctors will perform a small incision cataract surgery and an intraocular lens implant in each eye. After recovery, she will be able to see clearly. Now, she needs help to fund this $398 procedure. Her daughter says, "I hope my mom's surgery is a success so she isn't in pain and can see clearly." Savuth is a hair dresser from Cambodia. He has one daughter and two sons. He likes to go for walks, do housework, and watch TV. Two years ago, he developed hip pain on his left side. He cannot walk, work, or support his family. Fortunately, Savuth learned about our medical partner, Children's Surgical Centre. At CSC, surgeons can perform a total hip replacement to relieve Savuth of his pain and allow him to walk easily. Treatment is scheduled for October 17, and Savuth needs help raising $1,025 to pay for this procedure. He says, "I hope I can walk normally again after the operation." Peter is a 40-year-old man from Kenya. He is married with four children, who are all in school. Peter is a welder, while his wife is a vendor at their local market. Two months ago, Peter's left knee and lower leg began to swell and cause him pain. He is no longer working, and he must use a stick as a walking aid. On September 7, Peter will undergo surgery to treat his knee. This procedure will cost $1,165. “I will be happy to see my leg treated because I will be able to resume my work. I will be able to walk and as well provide for my family. I lack words to say but I plead for your support," Peter says. 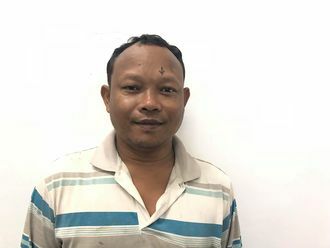 Narith is a father of five from Cambodia. He has one son, four daughters, and one grandchild. He likes to watch social programs on TV. He is a rice farmer. 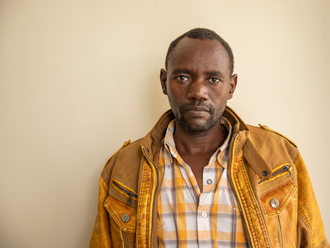 Three months ago, Narith developed a cataract in each eye, causing him blurry vision and irritation. He has difficulty seeing things clearly, recognizing faces, and going anywhere outside. When Narith learned about our medical partner, Children's Surgical Centre, he traveled for three hours seeking treatment. On August 9, doctors will perform a phacoemulsification surgery and an intraocular lens implant in each eye. After recovery, he will be able to see clearly. Now, he needs help to fund this $398 procedure. He says, "I hope my vision improves so I can return to work and drive again." 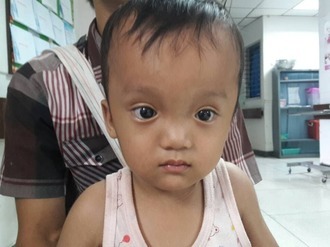 Hel Tha Gal is a two-year-old boy from Burma. He lives with his parents, and they are farmers. He loves to play with any toys that he sees. 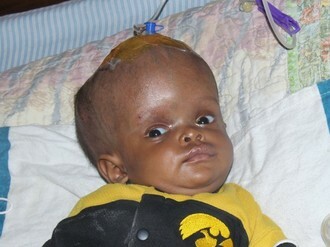 Hel Tha Gal was recently diagnosed with hydrocephalus, which has caused fluid to build up in his brain. Without immediate surgery to alleviate the intracranial pressure that the excess fluid is causing, he is at risk of developing severe, potentially fatal medical complications. 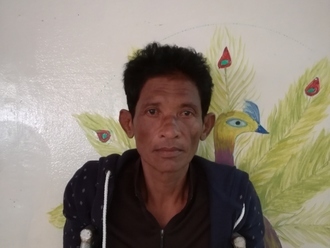 Our medical partner, Burma Children Medical Fund, is requesting $1,500 to fund the insertion of a ventriculoperitoneal shunt for Hel Tha Gal, which will drain the fluid that has accumulated in his brain. The procedure is scheduled to take place on May 18, and, once completed, will greatly improve Hel Tha Gal's quality of life. His father says, "I am looking forward to see my son recovering after his treatment."